After an uncomplicated arrival with a lot of luggage, Linus and Loni were welcomed typically Moroccan: with tea and a lot of cordiality. 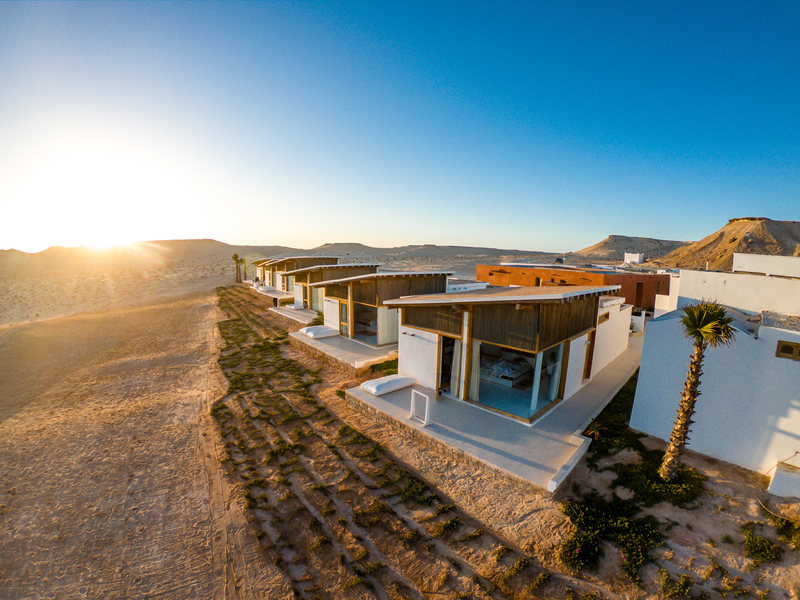 The two checked into their rooms immediately afterward and were enthusiastic about the mini villas: a huge bed stands in the middle of the high room and you have a direct view of the spot! 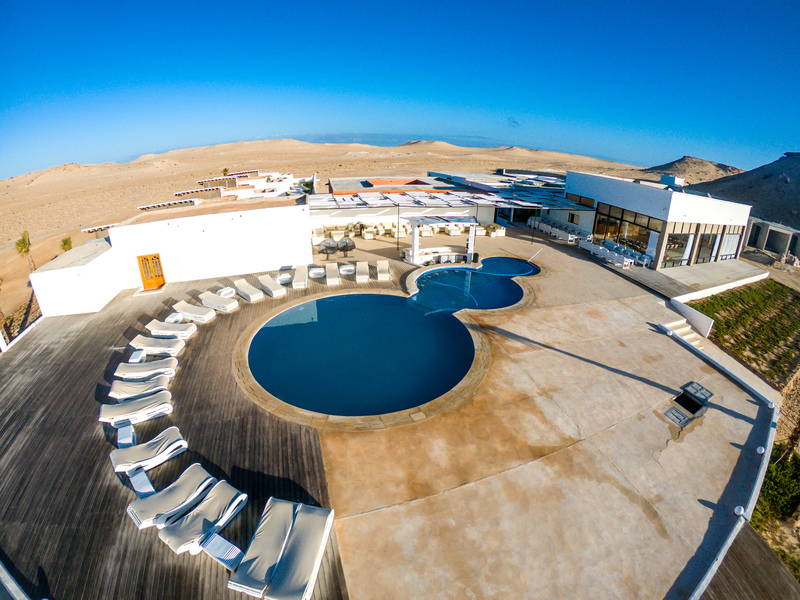 In front of it, a small terrace with a beanbag invites you to chill out and the outdoor bathroom tops everything! 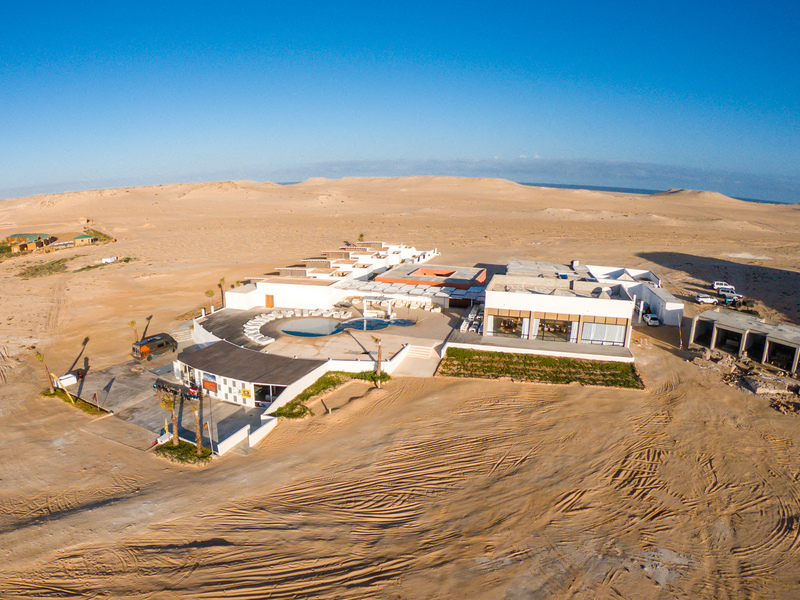 Furthermore, the two could already get a first impression of the new villas with private sea view jacuzzi, which are just being built and should be ready for occupancy from the end of May. After unpacking, Linus and Loni went directly onto the water. 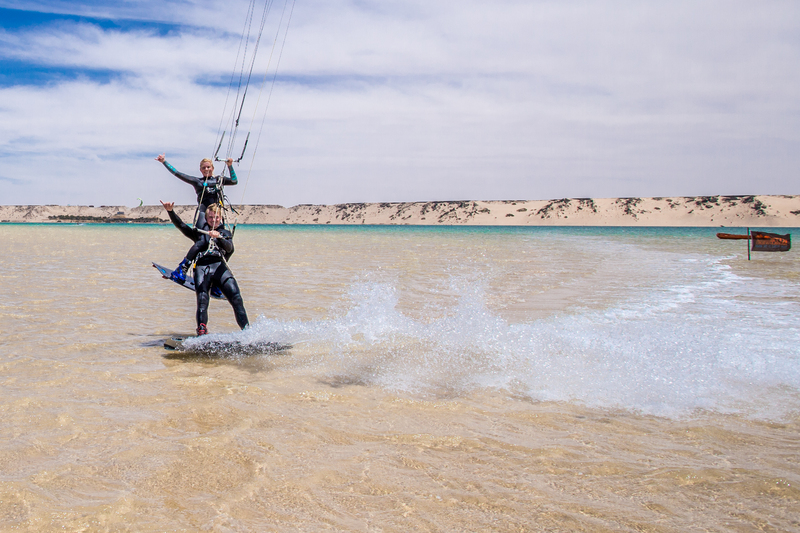 You don’t just want to see the lagoon, you also want to use it….. Easy, when the wind blows reliably every day. 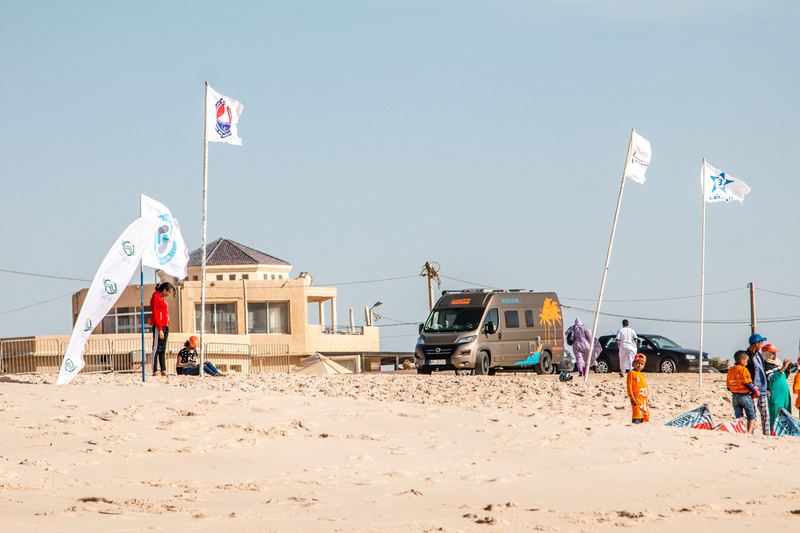 And because even a professional kiter like Linus gets sore muscles from so much action on the water, the sessions are followed by a traditional Moroccan hammam for a massage. 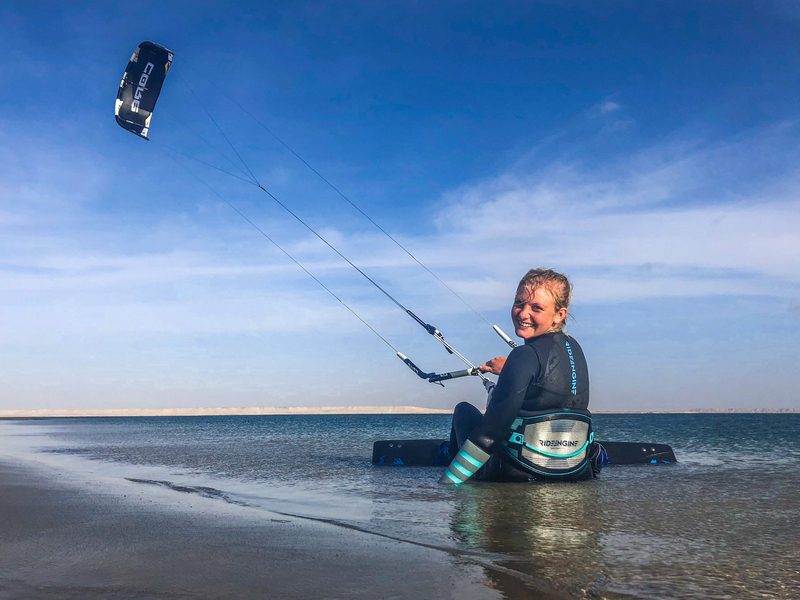 Linus and Loni were also particularly impressed by the old town of Dakhla, where there are many winding alleys and typical Moroccan markets. Here you can buy everything from spices and vegetables to typical carpets. The nice thing about it: none of the market people (and nobody else in Morocco) is pushy or tries to talk them up. 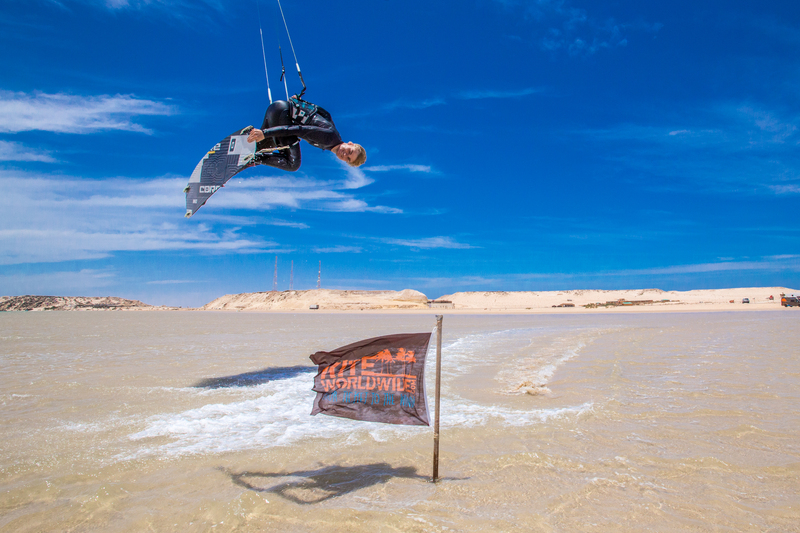 Conclusion: Morocco offers first-class conditions for kitesurfing and especially Dakhla with the giant lagoon, on which really everyone finds his place to practice, is an absolute fillet piece among the spots. 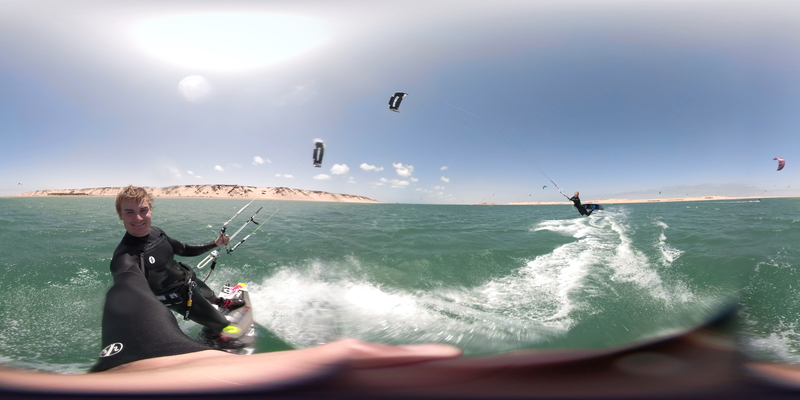 As a preparation check out our learn kitesurfing tutorials. 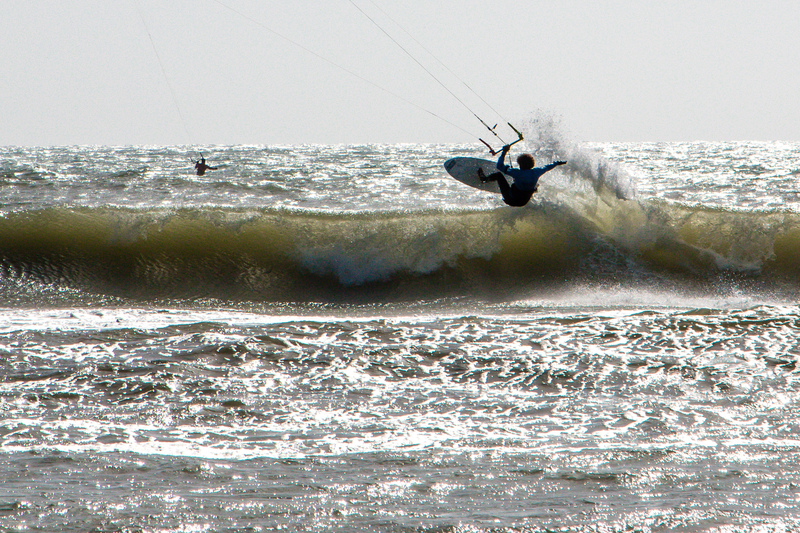 The Villacamp and first-class food make your kite holiday absolutely perfect!